Elearning Space – Learning Analytics: A meeting point for the enthusiast about developing meaningful data related to learning. Knewton: An interesting blog site managed by Knewton, a business that develops customized and personalize online learning material. The Innovative Educator: Lisa Nielson blog that covers topics about innovation in teaching and learning. Dangerously Irrelevant: A blog managed by University of kentucky and CASTLE that address topics related to education and technology. Bits: New York Times pages about technology. Digital Delight: A ScoopIt page that aggregates information about the digital life. Educause: The famous organization whose mission is to advance higher education by promoting the intelligent use of information technology. 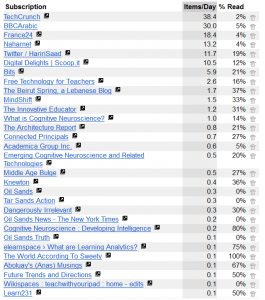 Chronicle: The higher education news aggregators. Gartner: which is the world’s leading information technology research and advisory company. Classroom 2.0: the social network for those interested in Web 2.0 and Social Media in education. LinkedIn Groups: Learning, Education and Training Professionals Group; Tomorrow’s International Professor: Faculty for Education Abroad Group. I use mainly Diigo to manage all the information I want to capture and share with others. I have created different groups. 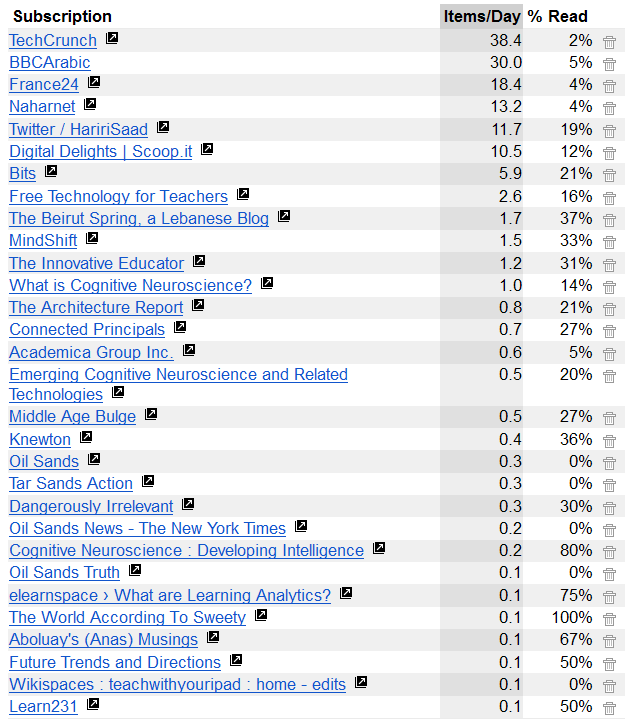 I use Diigo private lists to somehow organize the bookmarks based on topic, assignment and projects.